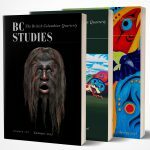 In relation to the recent posts series “Evolving perspectives on the Pacific-North American plate boundary near Haida Gwaii, BC” By Sean Mullan, on the 2012 Haida Gwaii tsunami and underwater methane vents off the West Coast, Hakai Magazine has just released a similar article on tsunami threat off the East Coast of Canada. Hakai Magazine is a coastal magazine that covers diverse coastal topics pertaining to science, society and the environment. While this particular article (see below) covers the tsunami threat from seafloor landslides on the East Coast, this type of research is very relevant to the West Coast as well. Additionally, Hakai Magazine is a BC-based magazine, founded by the Tula Foundation, with headquarters in Victoria, BC.